Milk kefir grains for sale. These are healthy grains that I use with organic raw goats milk. They can also be used to culture coconut and other non dairy milks. 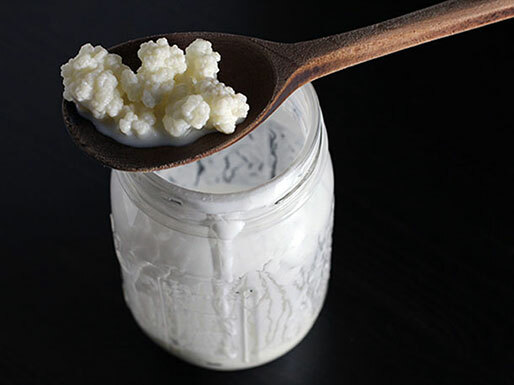 For more information on milk kefir grains I recommend the Cultures for Health website where they have a free e-book you can download which can provide you with all of the information that you could need. 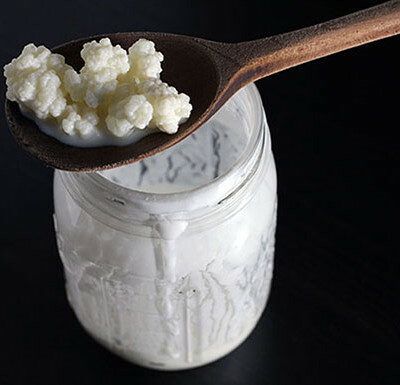 I will ship 1-2 tablespoons of milk kefir grains in some goats milk. They will be shipped in a glass jar by GLS, which you will receive normally within 24 hours of shipping. These grains will multiply when fed daily with fresh milk. The only milk I recommend not using is UHT milk. This item will only be shipped within the Republic of Ireland. The price includes next day shipping by courier. Contact me for a price quote if you are in Europe. If you are located outside of Ireland I can easily post you some dehydrated kefir grains. These are easy to reconstitute and can be bought here.